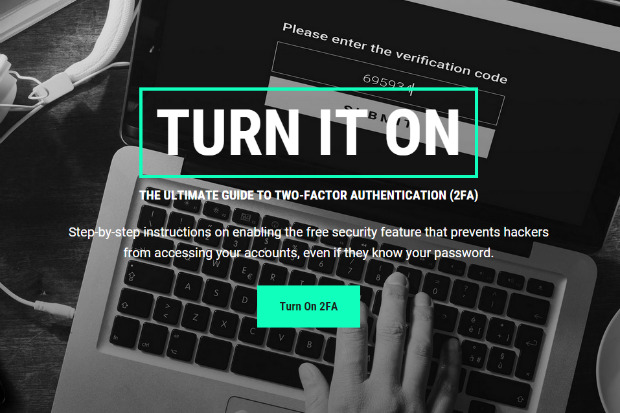 Telesign’s online guide to securing your accounts with two-factor authentication continues to educate consumers about online security. LAS VEGAS – Telesign, a mobile identity solutions provider, continued to educate the public about its free “Turn It On” Campaign – a step-by-step instructional guide to two-factor authentication (2FA) on some of the most visited websites – at this year’s Black Hat security conference. Co-founder Ryan Disraeli says that based on Telesign’s “Consumer Account Security Report,” it’s clear consumers want more security but don’t know much – if anything – about 2FA. “The sentiment that people are fearful and less trusting of organizations that have been hacked is real,” Disraeli says. Telesign’s report reveals that, in the past year alone, 40 percent of consumers experienced a security incident – defined as receiving a notice from a bank, retailer or other organization that their personal information had been compromised, had an account hacked or had a password stolen. The common response, found in 70 percent of the cases, was a change in passwords. Recognizing the need to educate customers, Telesign launched turnon2fa.com, the only free and comprehensive guide informing people how to enable 2FA on more than 100 popular websites.